Hiking and Cycling Holidays on Ireland’s Wild Atlantic Way. Beyond the Glass Adventure Tours offer Adventure Tours along Ireland’s Wild Atlantic Way. Each of our tours travel along a magnificent section of Ireland’s Wild Atlantic Way. On each day of the tour there is a hiking or cycling activity. The tours call to the best attractions and landmarks along the route and stay in locally owned accommodation. The tours are fully escorted and all the activities are guided. In 2019 we have three fantastic tours for you to choose from. An 8 Day Explorer Tour, a 6 Day Adventurer Tour and a 5 Day Hiking Tour. 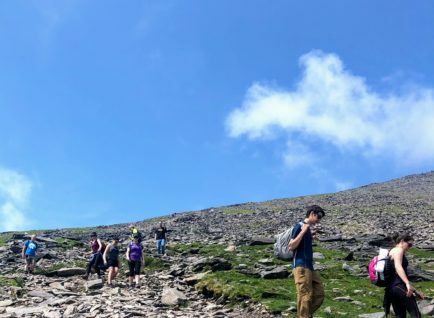 On the 8 Day Explorer Tour you will be immersed in the best of Ireland’s outdoor beauty, there are 4 days with a hike in a spectacular location and 4 days with a cycle through scenic landscapes. 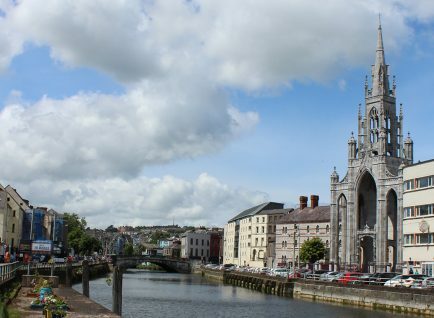 The 8 Day Tour travels from Cork on the south coast of Ireland to Westport in County Mayo, along the route you will experience the best of Ireland’s Wild Atlantic Way. During the 6 Day Adventurer Tour there are 3 days of hiking and 3 days of cycling. The tour explores the wildest places in counties Cork, Kerry and Clare. 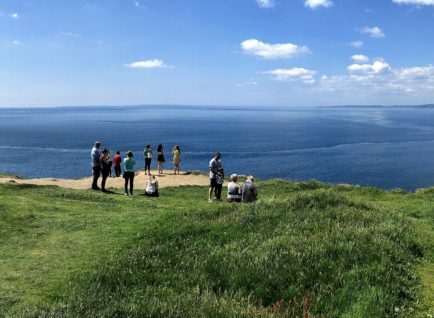 The highlights of this tour include a cycle in the Beara peninsula and a hike along the oceans edge to reach the Cliffs of Moher. On each day of the 5 Day Hiking Tour there are 5 hikes through areas of unparalleled beauty in the South West of Ireland. The tour includes some of Ireland’s best hikes including a spectacular section of the Dingle Way and Killarney National Park. To view the full itinerary of each tour, go to each individual tour page. 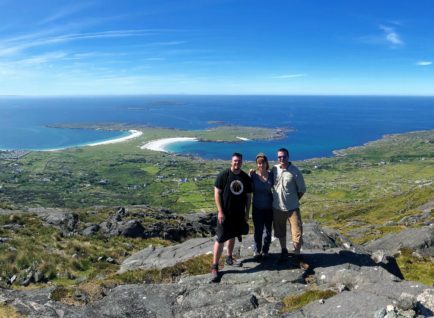 When you join a Beyond the Glass Adventure Tour you will experience one of the best adventure holidays in Ireland while travelling along the beautiful Wild Atlantic Way. As you hike, walk and cycle along Ireland’s West Coast you will discover spectacular and seldom visited corners of Ireland. 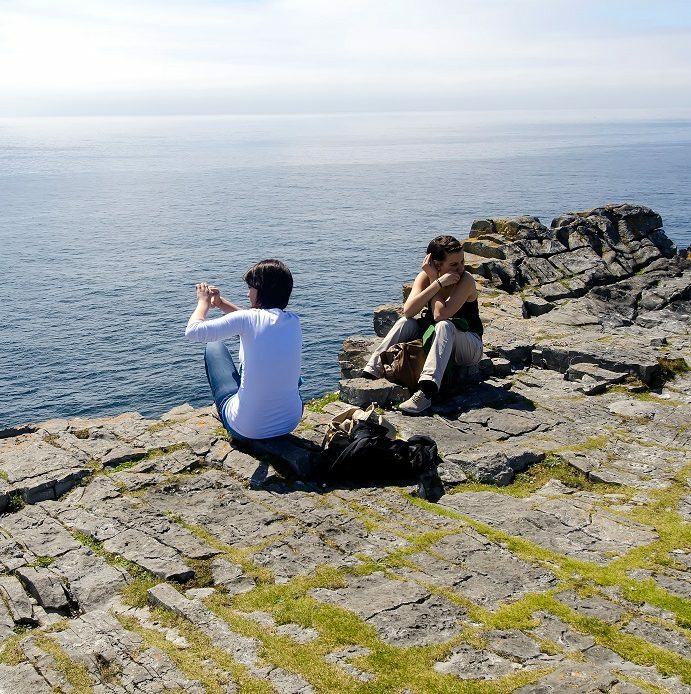 On each day of our tours you will explore a new part of Ireland and absorb the atmosphere on the rugged Irish coastline. Experience adrenaline filled adventure and fun as you hike, cycle and boat around Ireland. These are small group tours with a maximum of 12 people per tour. As well as the hiking and cycling sections you will also visit many of Ireland's historical treasures such as the splendid Blarney Castle and Gardens, the picturesque Ross Castle and the fortress of Dun Aengus on Inis Mor. Fill your senses when you visit the sub-tropical gardens of Garnish Island and marvel at the wonder of the UNESCO world heritage site Skellig Michael. Stay in picturesque towns including Kenmare, Killarney, Dingle and Galway. Here you can indulge in authentic Irish culture and hospitality and savour the local food. During the Adventure Tours there is time each evening to unwind and sample the atmosphere of the Irish pub and perhaps enjoy a Guinness at the end of a rewarding day. Bed and Breakfast accommodation, entrance into all sites and the transport for the duration of the tour are included in the tour price. The hikes on the tours take place on coastal routes, forest trails and mountain paths. The distance of the hikes are 5 to 12 kilometres and on average they take 3 hours to complete. The Hiking sections of the tours are guided by a trained Mountain guide. The cycling sections of the tours take place in National Parks, Greenway paths and quiet country roads. The distance of the cycles range from 10 to 30 kilometres and on average they take 3.5 hours to complete. The bikes and helmets are provided and they are included in the tour price. Look forward to 6 days exploring the rugged and beautiful wilderness of Ireland's southern Wild Atlantic Way coast line. Activities on this tour will include hiking and cycling. Be prepared for an 8 day fun filled activity tour, as you travel along the best parts of Ireland’s Wild Atlantic Way from Kinsale to Westport. Outdoor activities including hiking, biking and boat rides. A 5-day Hiking Holiday that will satisfy anyone looking to complete some of the best walks in the South West of Ireland.